Shah Rukh Khan Will Host A Bigg Boss-Like Show On This Condition. Should Salman Worry? Shah Rukh Khan at an event in Mumbai. Actor Shah Rukh Khan, who is all set to host television show TED Talks India: Nayi Soch, says that he has never been offered a show in a format like Bigg Boss, which is currently being hosted by Salman Khan, reports news agency PTI. The 51-year-old actor also said, "There is no question of being a host to X or Y show that all movie stars are doing (referring to Salman Khan, who is hosting the 11th season of Bigg Boss) they have interesting things to say. I have never been approached for a show of that format. 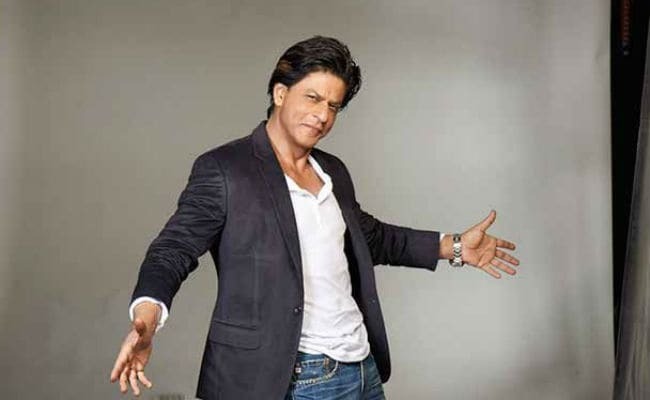 If offered, if I am free and if the money is good I will do it," PTI quoted Shah Rukh as saying. Recently, In an interview, Salman Khan had said that his friends - Shah Rukh and Akshay Kumar (who, is currently seen as a special judge in TV reality show The Great Indian Laughter Challenge) are great at hosting shows and it would be fun for them to be on television around the same time this year, reports PTI. In TED Talks India: Nayi Soch, celebrities from all walks of life will share their life-altering experiences. Talking about competition with the two actors (Salman and Akshay) on the small screen, SRK said that he is not competing with any of his contemporaries, reports PTI. "To be very honest, Salman and Akshay, what they are doing, they are in the league of their own. I am not even competing with them. They are doing wonderfully well," PTI quoted SRK as saying. The show will air on Star Plus channel soon.Few episodes have been shot, which feature noted screenwriter-lyricist Javed Akhtar, filmmaker Karan Johar, cricketer Mithali Raj among others. Shah Rukh, who was last seen in Jab Harry Met Sejal, is currently filming Aanand L Rai's yet-untitled film, starring his Jab Tak Hai Jaan co-stars Anushka Sharma and Katrina Kaif.